Music director who worked with many famous musical organizations, including the Pittsburgh Symphony Orchestra and the New York Philharmonic. He was a recognized child prodigy and guest-conducted the NBC Symphony Orchestra on the radio when he was 11. He made an all-African-American recording of George Gershwin's "Porgy and Bess," the first of its kind, while he was music director of the Cleveland Orchestra. 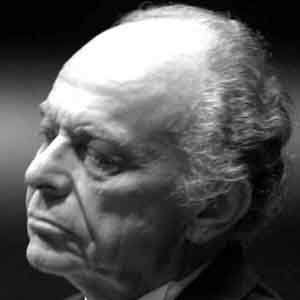 His father, Lincoln Maazel, was a performer, singer, and voice and piano teacher, and his mother, Marion "Marie" Shulman Maazel, was the founder of the Pittsburgh Youth Symphony Orchestra. His parents contributed detailed recollections to the Oral History Collection at the University of Pittsburgh. His compositions included the opera "1984," which was based on the George Orwell novel.